The CD122 antigen is the human IL-2 receptor β chain (p75). CD122 associates with CD25 and CD132 (IL-2Rγ) to form the IL-2 high affinity receptor. It is also a component of the IL-15 receptor. 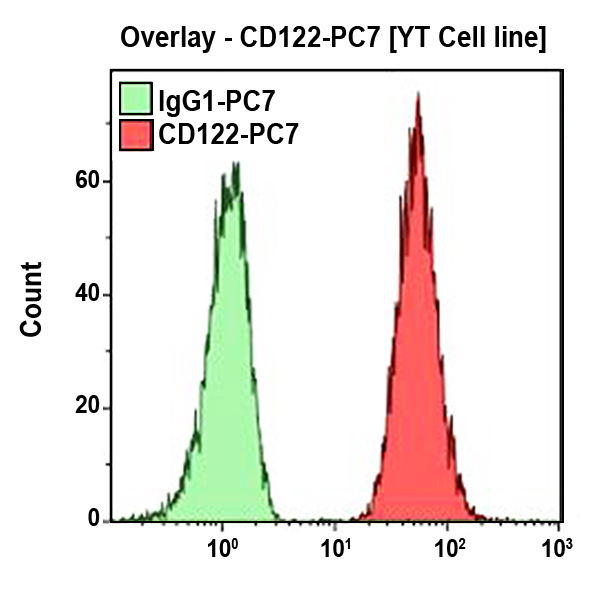 CD122 can directly bind IL-2 and is involved in IL-2 signal transduction. The CD122 antigen is expressed on NK cells, B and T lymphocytes and monocytes. Clone Description CF1 is a non blocking antibody.